Whatsapp is the most popular messaging application among all mobile devices and is available on App Store, Google Play, and Windows Store. It has replaced our traditional SMS to a large extent. Now, with added new features like Youtube Videos and Integrated UPI Payments, It provides a handy way to be in touch with friends, families, and colleagues. The most important, this great application is free of cost. You don’t need to pay a single penny to use it. However, a situation may arise when you accidentally delete your Whatsapp chats and want to recover it. Here are some ways by which you can Recover Deleted Whatsapp Messages. This is the very basic and simple method to Recover Deleted Whatsapp Messages as you don’t need to install any recovery software. Simply uninstall your Whatsapp and then install it again. 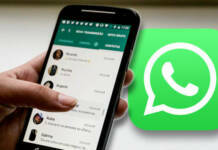 Whatsapp restores your chats on a daily basis and the files are generally stored in your Internal/External storage. When you will install the application again, it will first look for backups present and then ask for confirmation before it takes the backup. You just need to tap the Restore Backup when prompted and it’s done. Also Read: How to Fix Pendrive Empty Problem in Windows? 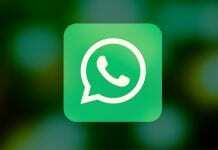 Go to Whatsapp Folder which is by default present in Internal Memory of your Device. Click on the Databases Directory. Inside the Databases directory, you will see many files with extension db.crypt. The general format is “msgstore-YYYY-MM-DD.1.db.crypt” in which “YYYY-MM-DD” is the year, month and date accordingly. Select the specific file with the date for which you want to recover your data and rename it to msgstore.db.crypt. ex: Rename msgstore-2017-12-024.1.db.crypt file to msgstore.db.crypt. 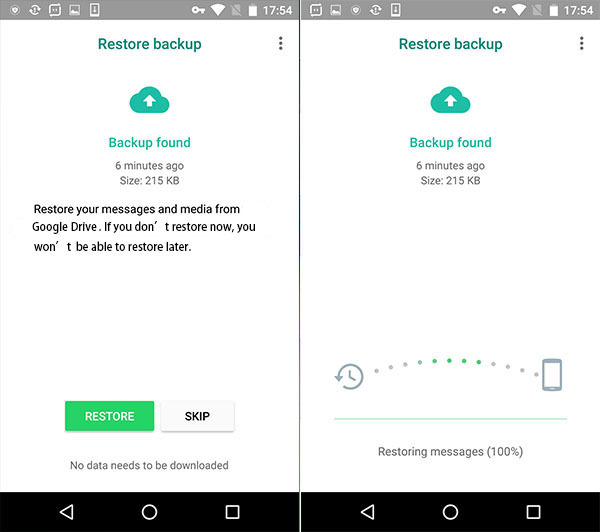 Reinstall Whatsapp application and click on Restore Backup as shown. The backup data file msgstore.db.crypt will be recovered and restored. After the backup is complete, you will see that all your recent Messages are recovered along with Media files. There are many tools available to recover deleted Whatsapp Texts. You can use any one of them as per your convenience. However, the steps for recovery remains same. If you are a Mac User, you could download Cisdem iPhone Recovery to Recover Deleted Whatsapp Messages The app claims that it can recover deleted data on any iPhone. Just follow the steps below. 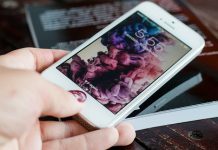 Connect iPhone to Mac computer. Choose recover from iPhone and start scanning. 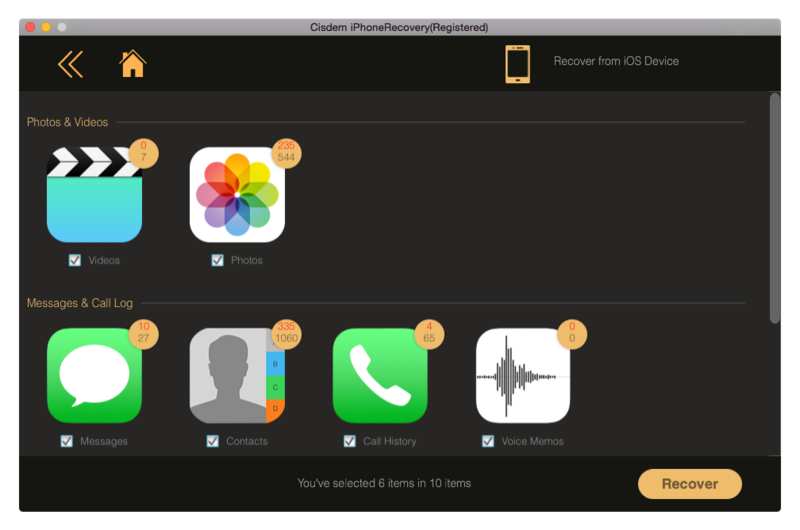 iPhone Recovery for Mac allows you to preview the data. preview and select the message you are finding. Select the data you need and recover.